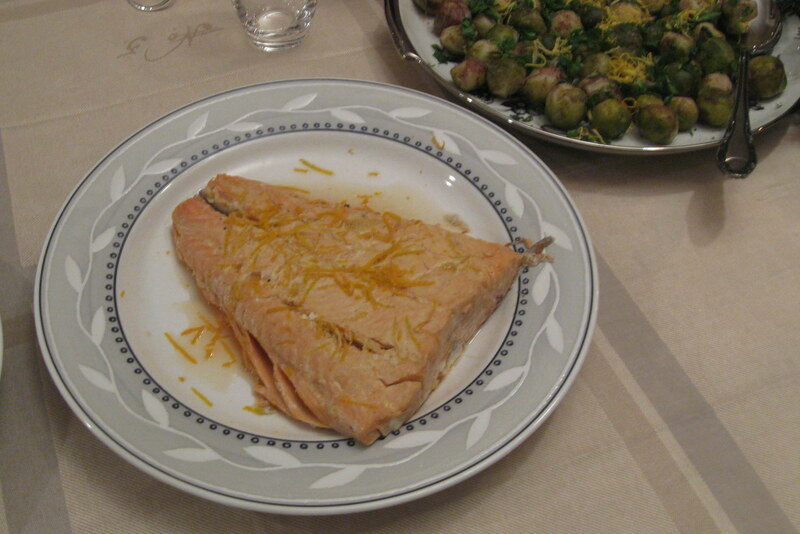 I loved how the orange and ginger combine with salmon in this recipe. 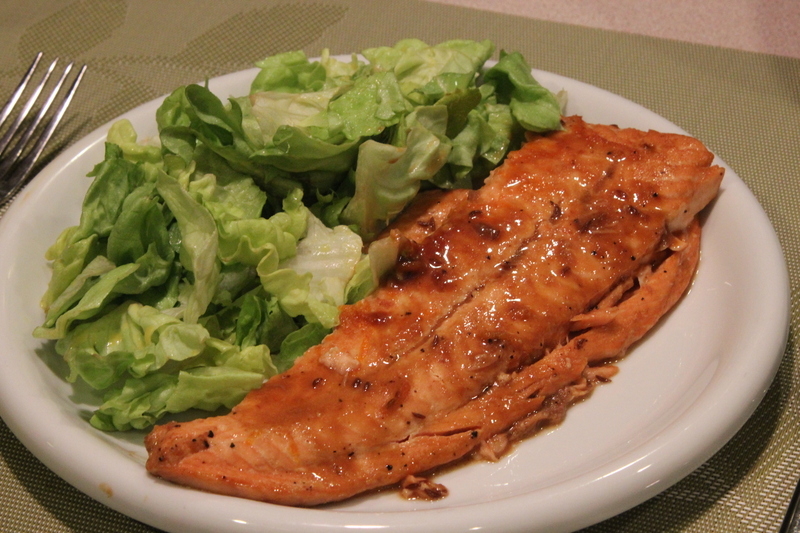 You need to let the salmon marinade for a few hours or overnight and then it’s just a quick cook in the pan. Almost a tastefull.gr recipe but for the use of soy. I made this for a special guest and had to almost eliminate soy. On a different occasion I made the recipe with the soy and it came out great, too. The soy does a great job balancing out the impact of the orange . How to prepare: Place the fish in a glass container. Add the juice and zest from one orange. Peel a piece of the ginger root and cut in little rods, about 10. Cover the glass contained and let it stand in the fridge for several hours. When ready to cook, remove the fish from the marinade and pat dry the side with the skin. Heat a heavy skillet at high heat and place the fish in with the skin down. Let it cook for a minute or two. Add the soy sauce, flip over, add then, add the juice of two oranges (not from the marinade), orange zest, the ginger rods, and pepper. Turn the heat low, cover the pan and cook for about 10 minutes or until you can easily detach a flake from the fish using a fork. Ready! 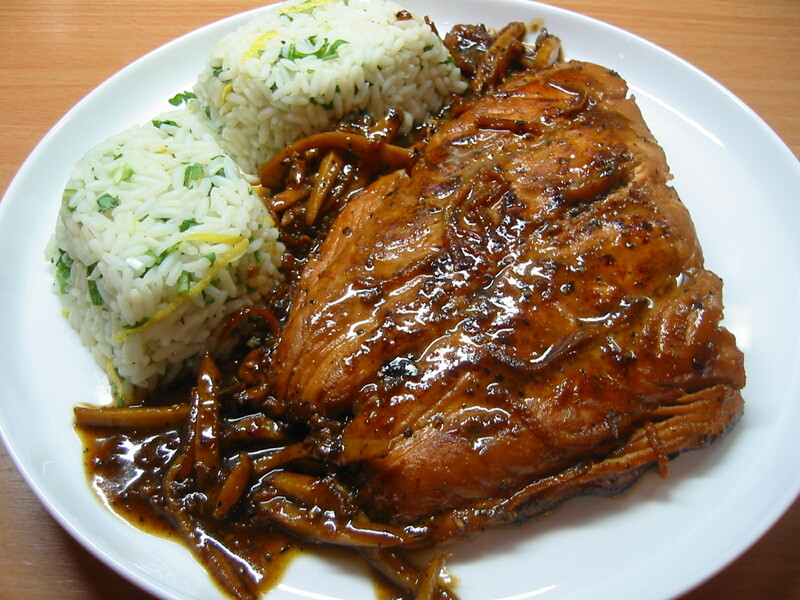 Serve with awesome rice. Here’s the recipe for your convenience. Here are two more photos of this recipe, served and in the pan. This is a better version with a bit more soy sauce. 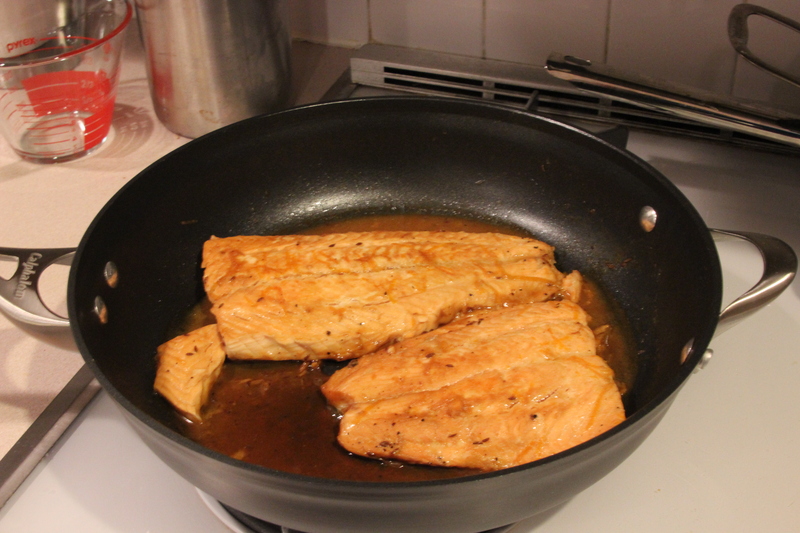 In the previous version I used the amount of soy sauce that was for just one fillet when cooking two in a pan. This time, it’s better balance. Also, I didn’t have fresh ginger. I substituted with dry ground ginger and it was fine.